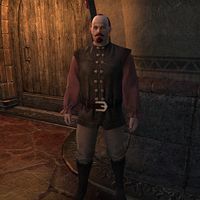 Celnard Celd is a Breton commoner who can be found in the Farmers and Laborers Hall of the Canton of St. Olms the Just in Vivec City. He either browses the produce or stands back a ways in thoughtful silence. He has no unique dialogue. This page was last modified on 8 July 2018, at 09:15.